If you’re not paying attention to each of these seven areas, your emails aren’t going to reach their best potential. It’s time we create fully optimized emails for your recipients, and this article gives you everything you need to know. How are your email marketing campaigns doing? Are you seeing the results you seek, or could they use improvement? These email marketing campaign upgrades can be just what you need. When you create each of your email campaigns, what are you focusing on? If you’re not paying attention to each of these seven areas, your emails aren’t going to reach their best potential. It’s time we create fully optimized emails for your recipients, and this article gives you everything you need to know. Your welcome email is the start of something big: lead nurturing. Unfortunately, many times this is a missed opportunity businesses don’t appreciate. When you create a fully-optimized welcome email for your new leads, you increase their engagement and loyalty — thus preventing spam reports, inactive subscribers, and unsubscribes. The following elements of a welcome email are all essential. It’s important you create an email that will appeal to your specific audience. Your audience is the basis for what you include in your welcome email and how you express that information. It is not the time for business preferences. Take advantage of as many of these email elements to create a welcoming experience for your new leads. Your new leads will be wary of what they just signed up for and what it means. You can ease their concerns by telling them what to expect from you. How many emails will you send out? What types of content do you typically include? It can also help to give your new subscribers a link to customize which types of content they get and how often. For example: if they only want one email a week instead of every day, give them the option to select that. If they only want blog articles instead of event news, let them choose that preference. The more freedom you give for your subscribers to customize their emails, the better your campaign results will be. If you keep sending emails they don’t want or are not interested in, you’ll see a decline in positive results and an increase in negative reactions. This can come in several forms: blog articles, free resources, or in-email advice. In your welcome email, you’ll want to offer something of value that your recipients will appreciate and act on. It’s an important way for you to determine which leads are most active and interested in your business offerings. Your welcome email recipients might find clickable resources that they can use to solve a need. You can share 1–2 of your most popular blog articles to give them an idea of what they’ll receive in the future. Or, share a free resource that is relevant to the content they converted on in the first place. It would help if the offering was immediately accessible instead of requiring another form submission. Sharing value in your welcome email helps your recipients understand the content they can expect from you. It also gives them immediate help whether as a blog article or other content type. Although this part doesn’t need a dominant space in your email, you should still include it. Even if you add the links in your signature or as buttons at the bottom of your email, you should add them. This will help with your social growth and engagement. Plus, your recipients may have their own active presence on the same networks. They may want quick access to your accounts so they can follow you. Social media is huge and can bring in leads on its own. It can also show you which email leads are most interested in engaging with your business. They may even be the most likely leads for sales. Giving your audience a voice — a say — in what they receive from you is a powerful way to build their trust and loyalty. You don’t want to do this if you can’t honor the advice you get, but if you ask strategic questions, it can work. Sometimes you may be tempted to create an external survey that people go to and fill out. Your welcome email is not the time for that. Instead, ask one specific question within your email that people answer by replying directly. This is one of those reasons why you don’t ever want to use a no-reply from address for your marketing emails. One great approach to a question in a welcome email is to be completely random. Asking them what challenges they face or what their favorite industry topic is can help you with future segmentation and targeted emails. On the other hand, you can build rapport and show personality when you ask them about their lives or recreational interests. Don’t forget to answer your random question, too, as the person sending your email, whether it’s you or the CEO. It’ll prompt more replies and bring a sense of relatability to your email. Use your email tone and its signature to show recipients that an actual human being created the email, not a robot. A great way to convince recipients that they made the right choice to sign up is to show them social proof. Give real-life examples of people who have appreciated your business. Use blog comments for subscribers to see that you offer valuable insight, and use client testimonials if your welcome email is targeted toward lead nurturing for sales. Although a slightly different scenario than what business emails are for, the lesson still applies. Add quotes (testimonials) in your welcome email to give proof that you’ve helped others through your blog, product, or service. If you want your welcome email’s message to spread, include social sharing options. Let your recipients easily share what you said with their friends and followers. Let them spread the word about your blog, product, or service. Your welcome email should make it clear what you’re all about. Your recipients will be able to share who you are and what you offer with only 1–2 clicks. When you allow social sharing options in your emails, even beyond the welcome, you increase your audience size simply through word-of-mouth. WOM is one of the best ways to get attention, so give your loyal subscribers the power to spread your message. It’s bad practice to send one email to your entire database each time. Yes, that’s the easiest approach, but it’s also the most ineffective and damaging. Definition: the process of dividing your contacts into groups, or segments, based on set behaviors or demographics. Most segmentation should happen when contacts sign up through a form. When you segment your contacts into separate lists, you give each and every recipient an email message that fits with their needs and interests. No one is left out or sent irrelevant information. You help prevent spam reports and unsubscribes. Your open rates will increase. You’ll see more people click through on your calls-to-action. People will be more likely to make a purchase. You’ll overall make a bigger impact. You can segment in many ways. It can start by asking for a job industry in the initial form. You can make it more complex by following recipient behavior. The more you narrow down your recipient lists, the better off you’ll be. Use your web forms to their full potential. If you only ask for an email address, don’t expect to have many ways of segmenting. Instead, ask for the typical first name, last name, and maybe a job title or phone number. Don’t wait to segment until your contacts database is a mess. When you get a long list of email addresses with no other data, it’ll be difficult to gain that information for segmentation. You will only have a few options. Keep emailing them with generic messages. Ask them for more information, making them have to do extra work. Wait and gather behavioral data over time from the few recipients who engage with your blast emails. Do a ton of manual research for data collection (which is unethical and sometimes even illegal when you don’t get proper permissions). None of those options are ideal or even all that effective for your marketing success. That’s why it’s important to gather the information you need from the get-go. Then, as you segment your emails, continue to track and adjust as you measure their behavior. It can be as simple as using their first name when addressing them. Use it in the subject line for good measure. Too often I see forms that don’t divide the full name into first and last. You need to do that so you can personalize by their first name without excess manual work. Mention something they last did, such as abandoning a cart or downloading an eBook. Let them know you care about their business or personal needs by bringing up the challenge they told you about in a form. Make the experience personal by using behavioral data to send a personalized message. Whether you’re using standard form information or behavioral data, you can use it all to send messages that fit their interests and solve their needs. To put it simply: the most important best practice for personalization is to make sure you’re actually implementing it. You want to deliver a positive experience to gain (more) business from your contacts. If you just blast out the same generic email that has no personalization tactics, you won’t see many people act on it. When you get people to open your email, make sure it’s worthwhile to each and every person you contacted. You now know more about the welcome email and both segmentation and personalization. Now, let’s dive into design best practices. Although there are definitely more elements to an email than these five, these are either the most important or most neglected. If you want your email opened, you have to convince your recipients that it’s worth their time. Create a subject line that is both convincing and relevant. Use a catchy subject line to stand out in their inbox. Use relevance to reassure them that the email has a purpose and isn’t spam. Keep it short to allow for full view without cutoff. This is important for both mobile and desktop view. The ideal subject line length is no longer than 50 characters. Make it clear what the email is about — what its purpose is. Don’t try to trick people into opening your email by deceiving them in the subject line. That won’t lead to any good. Be honest, and for good measure, tell them why they might like the email contents based on what you know about them. Use actionable words. 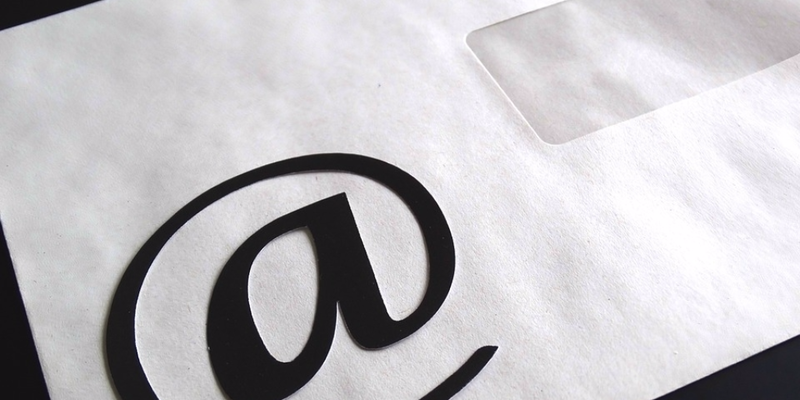 People respond better to subject lines that prompt them to open the email. It can be out of curiosity, from time pressure, or any other means as long as you’re providing honest value. Your subject line and call-to-action are very similar in that way. They both require prompting recipients through actionable language. If you want your email to reach recipients’ inbox and not the junk folder, don’t overdo it with the CAPS LOCK. People don’t want to see an all-caps subject line, so make sure you’re balancing it out. Use all lowercase or only capitalize the first letter of each word. Another easy way to end up as spam is to use the wrong words, such as “free” or any other trigger words. Be careful what words you’re using. If they’re too salesy in nature, they’re probably a trigger for spam filters. Do a Google search on “email subject line spam words” to find resources about this. This is one of those commonly-neglected areas of an email. While your subject line is that big bold text you see first, there’s still the other text right next door or immediately below. If it just says “open email in a browser window” or something just as bad, you aren’t using one of the best tactics for getting people to open your email. End your preheader text with an intentional cliffhanger to spike curiosity. Mention the benefits within the email that your subject line doesn’t already say. Tell recipients what they’ll see inside the email with a short description. Use any personalization data you have to grab each recipient’s attention. This is an often-misused feature in emails. Or, it’s an element that isn’t thought through enough. For example, when you use images, keep in mind that they may not actually appear when recipients open your email. Gmail blocks images until the recipient gives the okay to see them. That’s why creating an email that’s just one big image is not recommended. Limit how many images you use in your emails. Sometimes, all you need to include is a company logo and one relevant image for design. Even if a recipient can see your images, they don’t want to be overwhelmed by them. Take full advantage of alt-text when setting up any images. Use descriptive language to tell recipients what the image was about and its purpose. Or, use the alt-text as an opportunity to get recipients to okay image views. You could use alt-text to emphasize other points, but it’s best to keep it relevant to the image that’s meant to be there. Again, do not create an email that’s just one big image. Many of your recipients won’t be able to see what it’s about, or they’ll choose not to view it. You also risk being sent straight to people’s spam folders automatically. Make sure you’re focusing on adding text copy to your email as your primary. Images should come secondary. All your emails should have a call to action (CTA) to give it purpose and help you achieve your goal. Why else are you sending those emails? A CTA should be an inline link or button for recipients to click on. CTAs are how you’ll gauge interest and engagement. You’ll better understand which recipients are interested in which offers. This will ultimately help you with segmentation, personalization, and sales readiness. Give priority to an inline text link as your CTA. If your email has other images, you can include a button CTA too but not instead. Back to earlier, not all recipients will see images in your emails, so make sure they can see and click on your CTA regardless. Make your CTA stand out from the rest of the text and email. Give it its own place, even if it’s a text link. This will help visually and also give mobile viewers more room to select it. If it’s a button, make it noticeable by using bold colors and a large shape. Use actionable language in your CTA link text. Give recipients a clear reason why they should click through. What’s in it for them? Be honest, direct, and clear. This isn’t like your subject line where certain words are banned, but you should still be careful which words you include. Just like email providers, your recipients won’t like a salesy tone. Another neglected part of a marketing email, your email signature, holds such great potential. You can emphasize the person behind the email, making sure it corresponds with your from name and address. It helps your email have a more human feel. It’s a great way to add to your email copy personality. Make sure you’re using the same name as you’ve used for the from name and email address. It would be silly to receive an email from Frank with a signature naming Mary. Include more than just a name. Include a job title and maybe even their social media profiles, especially if they’re a company executive. If you have more personal information, such as a favorite quote or a headshot, include that in the signature. People will appreciate seeing the face behind the email. A simple quote or saying is a great way to add personality from the sender. Don’t overcrowd the signature. For example, if your email only has one link (the CTA) within the body, that’s not the time to include links in the signature. You want recipients to click on your CTA first, but other links will distract them from doing that. Annaliese Henwood is a freelance business content writer, with primarily B2B content writing experience. She creates blog posts, ebooks, white papers, case studies, brochures, website copy, and more. When not helping her clients increase sales, she spends her time writing her memoirs or creating posts here on Medium. She’s currently working on a full-length book about “creating blog posts from start to finish” which she aims to publish on Amazon this summer. You can learn more about her business offerings on her own website or reach out to her directly at anna@annaliesehenwood.com. Writer at heart first, career second | Business freelance writer | Part-time memoir writer + blogger | Say hi: anna@annaliesehenwood.com!